John Perkins was a Former “Economic Hit Man” back in the seventies and has an insiders understanding of what he now calls Predatory Capitalism. He spent many years working for the large corporations pillaging countries in Latin America and Africa and now has decided to speak out against this completely destructive form of economic terrorism. The end result of course are countries that are completely bankrupt and subservient to the IMF or what ever else you want to call the banking oligarchy these days. And the United States along with most of the western countries are all falling into the same trap. John uses the word “Corporatocracy” to describe the current system of tyranny we have on this planet , a new word that is not too dissimilar to good old facsism , but with a more modern sounding twist. But the premise is the same , corporations that have bought and paid for politicians who pretend to listen to the voice of the people , but who are completely beholding to special interests on Wall Street. And they could really care less what the people have to say, can you say Health Care Bill , Wars Ad Nausea , Environmental Destruction, and a new emerging super rich political class. 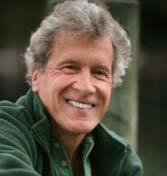 Check out the books below by John Perkins ! Here is an Excellent recent interview with John Perkins on Red Ice Radio where he pretty much lays it all out on the line and shares some possible solutions if anybody is listening. Seems John is trying to make up for his past in this video by Rabble Rousing the college youth. Here he lays out the evolution of a Strong Constitutional Republic formerly know as the United State to a Corrupt , crumbling, unsustainable American Empire.